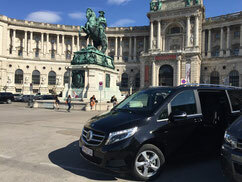 The VAN: MERCEDES V-class TOP class high end and brilliant sound! 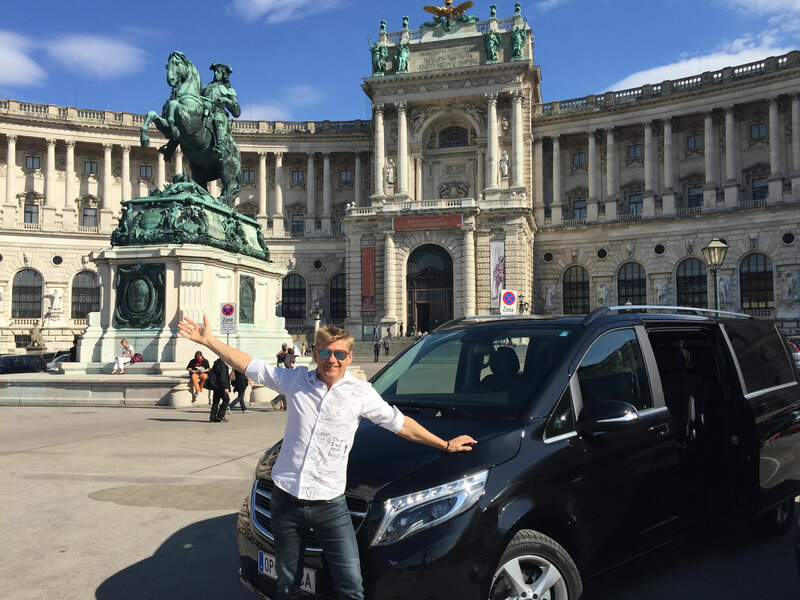 Peter with his new Van in front off the Hofburg palace in Vienna! 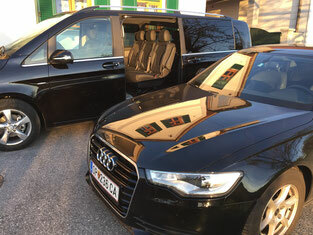 Around 200 horses, 2 sliding doors which open automatically & best and safest available VAN in 2018! Come and enjoy! Already a provider. For tomorrow. A companion you can really rely on. 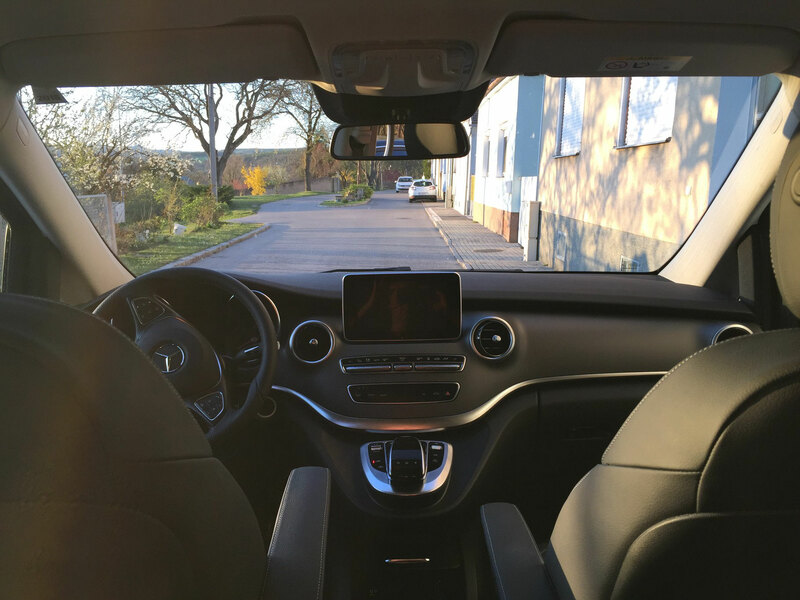 Assistance and safety systems in the new V-Class optimally support the driver in all driving situations, therefore making it the trendsetter of its class. And with the powerful, yet fuel-efficient engines, it takes care of its long-lasting responsibility for the environment too. of life to the roads. A vehicle which stands out wherever it is, with unmistakable Mercedes-Benzstyling. Expressive front and unparalleled form. Perfected down to the very last detail, the new V-Class offers a variable interior concept, while at the same time delivering an impressive driving experience. A real eye-catcher, with all the luxury service you expect! Powerful and agile – a combination with which the new V-Class maximises driving dynamics and comfort. Combine the spaciousness of its interior with unique agility on the road – one-of-a-kind efficiency meets high performance. Yet noise levels remain low thanks to optimally reduced interior noise. Normally I am using the AUDI A6Limousine for 1 to 3 passengers. You won`t believe how comfortable and cozy a trip can be. 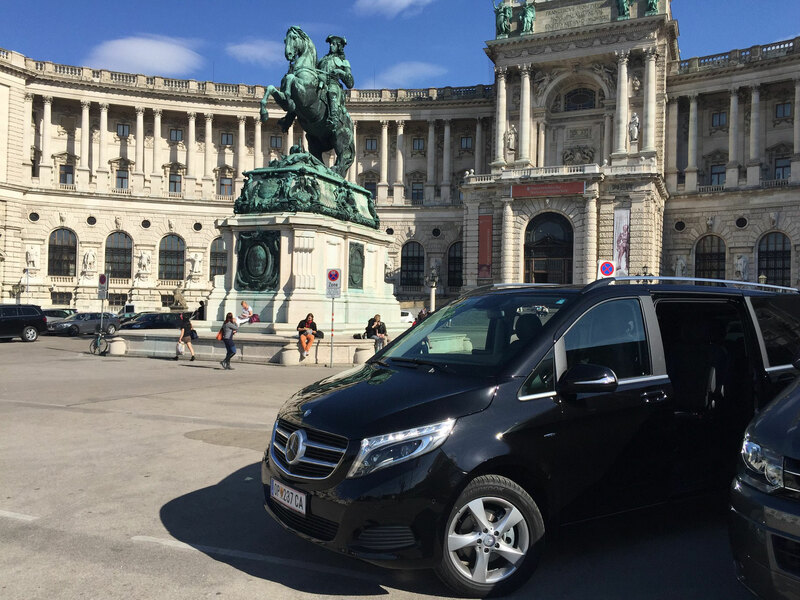 A city tour in Vienna, a day trip to Salzburg or a an excursion to the Danube valley. I am very sure that you will enjoy my service! 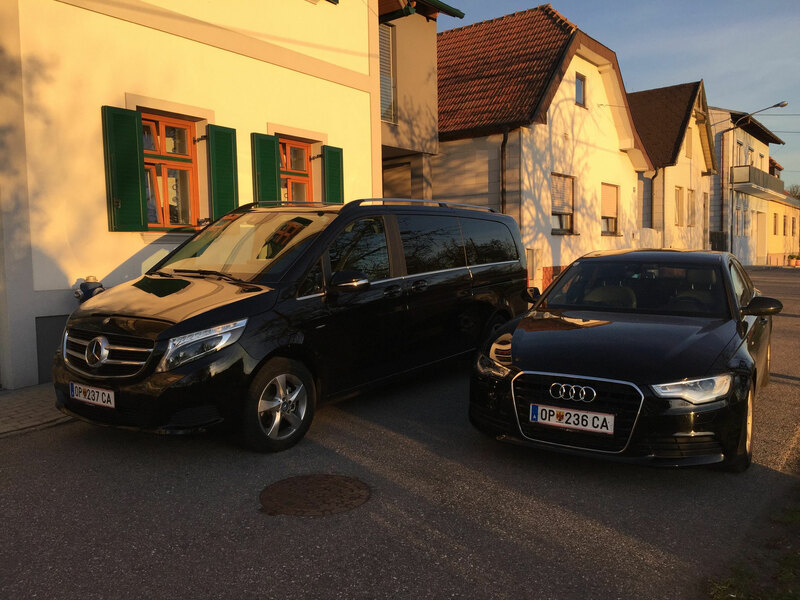 The MERCEDES V-class Van is an 8 seater, so I can accept up to 7 passengers in my super luxury comfortable Mercedes. 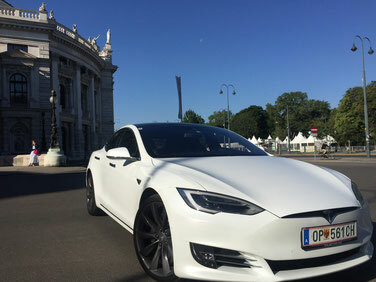 This car is just fantastic! A saloon that will fascinate you at first glance. Prompts emotions. Forward thrust made visible. A design that exudes progress and sportiness all along the line. Such as the tornado line. Underneath the side windows it extends from the headlights to the rear. 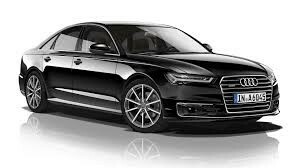 The horizontal orientation of all lines give the vehicle at the front and rear an even wider and sportier appearance. Including an impressive sound quality. In every seat. Thanks to the Bose surround sound system. With 14 loudspeakers and a total output of more than 600 watts. Brilliant sound. Evenly distributed in the vehicle. Unmistakeable. And noticeable. Due to subwoofers with a powerful bass reproduction. Generosity of scale is evident in comfort that you can feel. Room and comfort generously designed. With numerous storage spaces and practical stowing options. Making every trip a relaxing pleasure. Model S achieved the highest safety rating of any car ever tested, and set a record for the lowest probability of occupant injury—from front, side, rear and rollover accidents. This car sets an industry standard for performance and safety. You will feel like in your living room! Autopilot provides a stress-free driving experience—with advanced safety and convenience features designed to assist you with the most burdensome parts of driving. 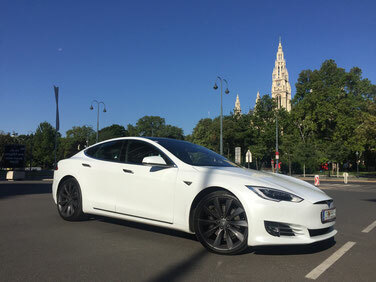 Model S comes standard with advanced hardware capable of providing Enhanced Autopilot features today, and full self-driving capabilities in the future.So I can focus more on my stories. A brilliant partnership!